A Love Supreme is not a work to be listened to as background music. Prior to listening to the record, we’d strongly suggest turning off your devices and leaving open about 40 minutes of free time to allow yourself to be taken on its profound spiritual, musical journey. As John Coltrane himself declares in the liner notes “A Love Supreme” is a thank you to God. The great saxophonist refers specifically to a spiritual awakening he had in 1957: “I humbly asked to be given the means and privilege to make others happy through music.” And he did. 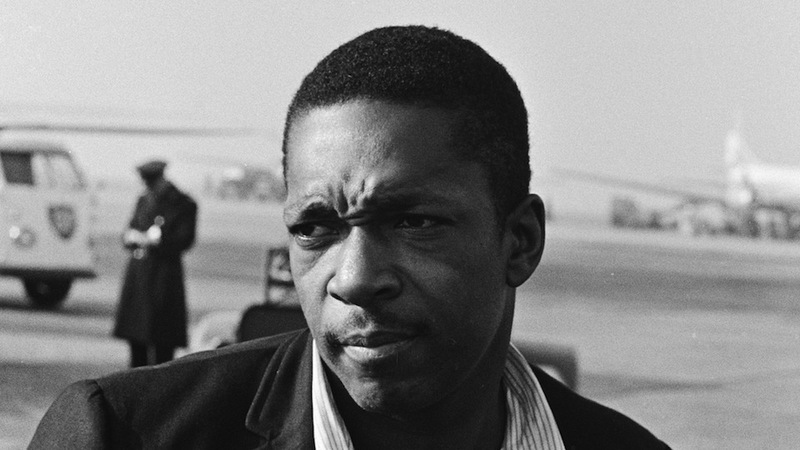 Today, even those who recoil from religion can marvel at Coltrane’s passion, humility, and sense of purpose. The piece is divided into four sections: “Acknowledgement,” “Resolution,” “Pursuance,” and “Psalm.” And though the entire record is indisputably a Coltrane creation, the stellar performances of the three other musicians cannot be overstated with McCoy Tyner on piano, Jimmy Garrison on bass and Elvin Jones on percussion. “Acknowledgement” begins auspiciously with the striking of a gong, Coltrane riffing on his tenor sax, and Tyner and Jones following suit. Then, Garrison comes in with an unforgettable four-note bass line, that Coltrane later chants to the album’s title. This track is probably the most gentle of Love Supreme’s four parts although Coltrane’s playing evokes the conflict, as well as the tranquility that were a part of his spiritual journey, one which he admitted, was interrupted by “a period of irresolution” (most likely his struggles with addiction). The second part, “Resolution,” is introduced by Garrison on bass before being overtaken by a blast of sax with a driving swing rhythm. Echoing Coltrane’s earlier musical strategy, Tyner switches from light arpeggios to ferocious chording as he reflects the larger dynamics of the record’s journey. When drummer Elvin Jones kicks off part three, “Pursuance,” his rhythmic mastery gives the illusion at times several drummers have joined the session just as Tyner can sound as if multiple pianos are in on the recording. Garrison, for his part, brings a sense of cohesion. Throughout, Coltrane seems to defy the possible with sustained notes from one riff launching into the next one so that the two seamlessly weave together even as they’re clearly variations on the scales and melodies. The spirit of influences such as fellow saxophonists Lester Young and Coleman Hawkins as well as bandleaders Miles Davis and Duke Ellington may be on display but no one can say that Coltrane didn’t find a way that is clearly his own. Who else could’ve transformed Rodgers and Hammerstein’s “My Favorite Things” into an extended improvisation several years earlier? Yet for all the technical prowess throughout A Love Supreme, Coltrane’s quartet never overshadows the humility and gratitude with finesse or fingerwork. Never is this modus operandi more evident than in the final section “Psalm.” A unique composition with Eastern influences, this composition has a slow, circular rhythm driven by a tympani that steadfastly supports Coltrane’s variations on a drowning modal melody. There is a purity and simplicity to “Psalm” that bathes the album in an exotic glow. The spiritual creativity of A Love Supreme went on to influence countless musicians including members of his own family — wife Alice and son Ravi — as well as legends like Carlos Santana and the Allman Brothers. Each no doubt discovered their own musical pathways to the three words Coltrane chose to capitalize in his introductory notes: ELATION, ELEGANCE, EXALTATION. But for many of us, listening to the hard-fought spiritual journey in A Love Supreme may be as close as we can get to Heaven’s Gate in this world.